CommsConsult, as part of a consultancy team contracted by IMC has successfully won the contract to evaluate DFID’s portfolio of programmes to end violence against women and girls (VAWG). 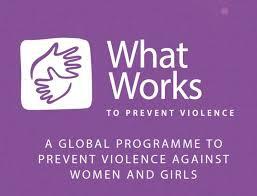 ‘What Works’, an ambitious attempt to combat the pervasive problem of violence against women and girls across the developing world, runs from December 2013 to April 2019 with an original budget of £25 million for the five years. CommsConsult will be part of a team reviewing the performance of the portfolio of 10 Innovation Grants and 9 research studies, i.e. the extent to which they have achieved overall programme outputs and outcomes. We will lead on the design and review of research uptake and work alongside the project partners conducting both mid-term and end of project evaluations. DFID has a strong track record in both speaking out against, and committing significant financial resources to programming relating to violence against women and girls. A recent mapping identified 19 DFID programmes where VAWG is the main focus and a further 90 where it is given a secondary emphasis, across 29 countries. (2014 ePact). The evaluation of ‘What Works’ will provide DFID with evidence of the extent to which different types of interventions are working, and in what contexts. This will mean that the organisation is better placed to design effective programmes in the future, as well as increase the uptake of its research. 3. Economic and social costs of VAWG, which aims to test out new methodologies to assess economic and social costs of VAW. In working with CommsConsult on this programme, DFID aims to increase the quality, quantity and use of evidence in its decision making, as well as more broadly unleashing significant innovations in preventing VAWG. This represents an exciting opportunity for CommsConsult to play a leading role in increasing the extent to which robust evidence and research can inform policymaking, as well as helping to combat a harmful social practice which has devastating impacts on the freedom and security of many women and girls throughout the developing world.